I am loving this off the shoulder, and cold shoulder look. It’s on trend this season and going into spring and summer. Regardless of age, or size, our shoulders are universally beautiful! They don’t sag! Another benefit: It keeps you cool when having a hot flash! Extra little hint: When wearing this trend, try using a little highlighter across your shoulders and on your collarbone for a pretty glow! 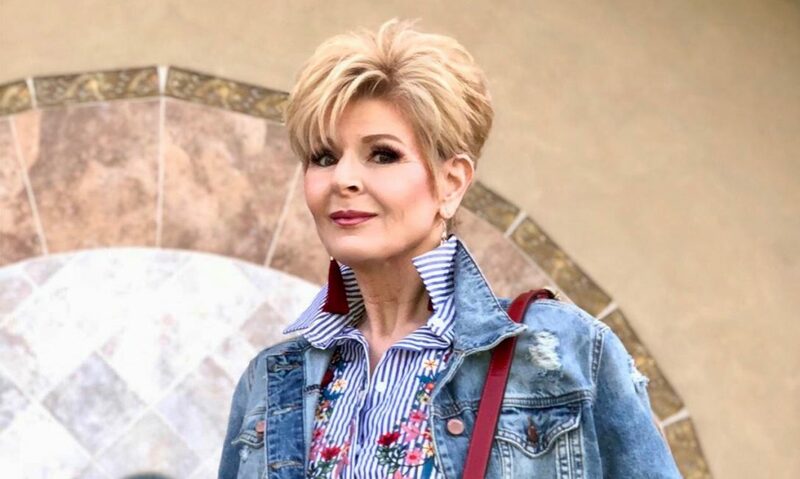 I would love for you to follow me here on my new blog, as well as on Facebook and Instagram at ontrend50 where I post daily outfits. THIS NEEDS TO BE GOOD NEWS THAT HAS SPERAD WIDER! for women who want to look spiffy! –Jonatthan Caswell, merely a poet.